Help us to build a credible evidence based resource for our global profession! Excellent professional development project, your contribution will be credited with certification of completion. Please read the review here and follow-up report here. As a participant in this project you will contribute to the creation (or update an existing) page within Physiopedia. This is a great opportunity for continuing professional development and to contribute evidence based information to develop this resource for our profession. 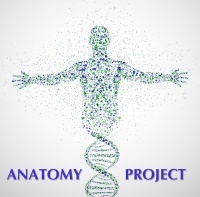 Creating and editing anatomy content is an ideal to way to learn the basics of Physiopedia volunteering as well as brushing up on long forgotten attachments and innervations. Your contribution will be reviewed by Physiopedia and once complete recognised by the award of a certificate of completion. Edit anatomy templates and identify articles for development. Gather more information regarding the available anatomy content on physiopedia. Choose an article from the list below that you would like to develop. At this point you should email George to let them know that you would like to join the project and which page you would like to work on (no need to do this if you are on the volunteer team or orientation course!). Please feel free also to ask any questions that you have in relation to this project. You will receive an email from George (project co-ordinator) to confirm you participation in the project and also to confirm the page that you will develop. Once you have received this confirmation you are free to get on with working on your page. If you are new to Physiopedia complete your work in a word (or similar) document. If you are have completed volunteer orientation or have used another wiki then please work directly in Physiopedia instead of producing a word document. (See content criteria below). Once you have completed your article and (if you wish to have a certificate) listed your learning outcomes please email George. Before you start please take a look at our content review guidelines. Please view our anatomy specifc templates to see what we are looking for.